Would You Outsource Your Photo Editing Chores? As a photographer a question that we have to ask ourselves on a daily basis is should we outsource our photo editing chores? The motivation comes when we consider the obvious huge advantages that come from outsourcing this time consuming task. Think of all that you could possibly do when you don’t have to sit in front of your computer for hours a day editing your photos. You could spend more time with your family, take that hike you have been looking to make every spring to the woods, spend some quality time with your parents, or simply chill out or learn new things. To be honest the options are lucrative and the comparable costs are minimal. Also, the other advantages are that you can look for more work – shoot more, which is what you love to do and spend less time in front of your computer and burning out in the process. Of course the ultimate goal is to shoot so well that images wouldn’t need any editing but until that happens someone has to do it. Would you trust someone with your post-processing work? Before you tap that browser icon, however, and make a quick search think of all the negative sides to this as well. Can you trust someone you know only by voice or email address to do all or most of your post-processing work? Can you trust someone to fit into your workflow, honor and respect your deadlines and provide you with usable edited images that you can sign off on? That’s a big thing to ask and it takes a bold step forward to find someone capable and then entrusting them with your reputation when they might be sitting half way across the world (which is usually the case). The simple reason that photographers who do outsource their editing chores outside give is that they have more time to shoot. Even if they don’t actually shoot on the saved time it gives them the advantage to actively seek more work. 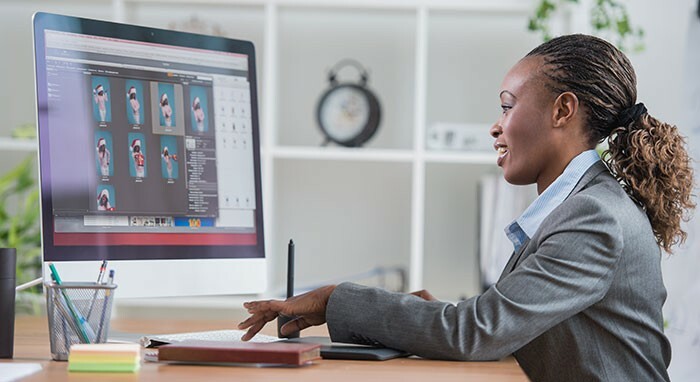 As you are probably already well aware, for a small photography business, a photographer has to do everything on his/her own starting from client relations to shooting and post-processing. If even a small part of that big daily chore can be outsourced to someone dependable it is a big help. There are arguments for and against the use of outside help for editing your photos. I would think the photography world would be split down the middle, each half having its own broad polarized opinion about it. Individual opinions can be even more varied. If you happen to ask someone for advice you would probably get as many different answers as individuals you care to ask. The thing is the decision is entirely up to you. Whether you wish to select someone to do your post-processing would have to be based on the answers to a few simple questions. What would you do with the time that you save? Do you have control over the time-frame? Do you have a constant channel of communication to send directions, review the work and then ask for edits if necessary? Is the provider willing to accept changes to his/her workflow? Is the pricing affordable and make sense for the convenience that you get in return? Can you pass on the price to your clients and justify it? Of course there are some other related questions such as the difference in time zone, language proficiency and ease of communication. As you know not everyone around the world speaks English, or for that matter French or German or even Spanish. So, you will need to find someone who can communicate with you effectively, maintain the time frame, is priced right, has great skills or at least reasonable skills but is willing to learn and improve and above all can be trusted. Every individual has his own tastes and preferences when using post-processing techniques. As a photographer you are likely to have a specific workflow and prefer a specific look for your images when they are finally ready. It is a difficult thing to convey this to someone and make him/her follow this if his/her processing workflow is completely different to yours. The best way to go about selecting the right candidate is to invite applications on some outsourcing platform and have the candidates perform a test. The test should involve editing and finalizing a set of RAW images that you have shot and checking the final edited submissions from each candidate. You would be looking at not only the obvious corrections like white balance, saturations, exposure, contrast, sharpness and noise reduction, but also look at finer points such as skin retouching for portraits, color correction and other manipulations for weddings, as well as lens distortion correction and light stacking for architecture. It would all depend on what your assignments are and what the retoucher is most proficient in. Ideally an individual who has some experience shooting images and can appreciate the importance of right exposure, noise reduction and some amount of artistic editing and knowledge of black and white processing, all the while never going overboard with the editing tools at his/her disposal is the right person for the job. Even then there could be two or more close matches. You will need to filter out the results based on the ones you think has the eye of a photographer and a vision that closely matches with your own. Two is better than one and I would recommend two editors so that you can distribute the work load equally and not have to put all your eggs in one basket. This is a great pool to get started with. Personally I have worked with numerous retouchers and as with most things in life it mostly comes down to “you get what you pay for.” I have worked with people who don’t pay attention to details (those are good for batch event images) they tend to be on a cheaper side and I worked with detail obsessed people (those are great for one in a thousand nailed shot) they are expensive but will really make your work stand out. Skilled and talented editors will always cost much more then people in training even if they come from impoverish places. But I love editing my individual pics and I get real pleasure doing it so I personally just outsource tedious and mundane batch editing if my budget allows for it.